The number of domestic violence deaths in Idaho is on the rise. Five people in the state were fatally shot last Thursday in domestic violence incidents, with four of the five deaths being two couples who died in separate murder-suicides. So far this year, 11 people have been killed across the state in domestic violence incidents – more than in 2016, 2015, and 2014 annually. According to records kept by the Idaho Coalition Against Sexual and Domestic Violence, figures are on pace to finish higher than last year, in which 17 people died as a result of domestic violence. 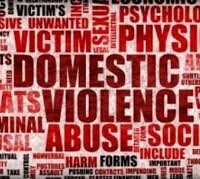 Idaho saw 23 domestic violence deaths in 2007, and 22 in 2011. Coalition officIals say that while there is an increase in homicide-suicide incidents in both Idaho and Washington state, it’s not known why that trend might exist.